bigheadtaco.com: ABC 123. Keeping Graffiti Within the Lines! 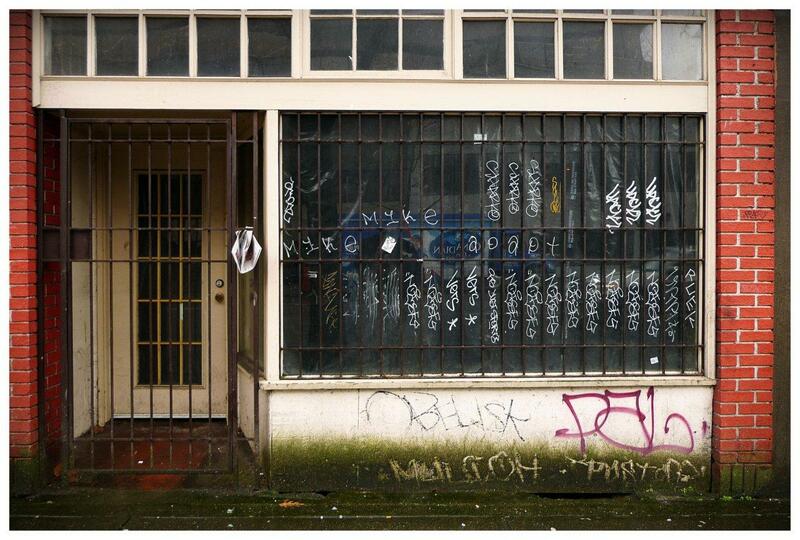 I was walking down Main and Hastings the other day and came across this old abandoned storefront. I couldn't help but notice the unique 'presentation' of the graffiti on the window. Since the security bars are in the way, these guys had to write within the space. It kinda defeats the purpose of graffiti doesn't it? They're trying to be all rebellious and anti-establishment, but had to keep nice and straight, orderly, evenly spaced, and within the literal lines! Ha ha...maybe they should practice their ABC's next time!